One of the popular professional football Player is named as Ousmane Dembele who plays for Spanish Club Barcelona and France National Team. He is well known French celebrity. He is famous for contribution to professional life. He is best at forward position. He recently joined Barcelona for a world record fee. He had played for Evreux, Rennes and many more. He started his professional career with Stade Rennais F.C in 2014. He is both right and left foot player. His Shirt number is 11. He is a very skilled and talented player. 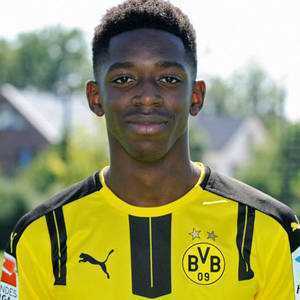 Passionate and enthusiastic player, Ousmane Dembele was born on 15th May 1997. He was born and raised in Vernon, a city of France. He was raised by West African migrants Ousmane Sr. and Fatimata Dembele. His nationality is French. He belongs to Mixed ethnicity (Mauritanian and Senegalese descent). His astrological sign is Taurus. At the small age, he began his career with football. Between the age of 12 - 13, he first played at ALM Evreux and later at Evreux FC 27. Dembele has got a great personality. Talking about his body, his height is 1.78 m. His weight is of 73 Kg. He has a balanced body with good health. He has an attractive body figure. His smiling face and charming personality have helped him to gain the attention of all the viewers. On 6th September 2014, he made his senior debut for Rennes in the Championnat de France Amateur against the reserve of Breton. On 9th November 2014, he made his first goal against the reserve of Laval. In his first season, he made 13 goals and appeared in 18 games. On 6th September 2015, he made his professional debut for Rennes against Angers and on 22nd November, he made his first goal against Bordeaux. Later, he signed a 5-year contract with the German club, Borussia Dortmund on 12th May 2016 and made his team debut on 14th August 2016 against Bayern Munch in the DFL Supercup. He made his first goal for this team against Vfl Wolfsburg on 20th September 2016. He scored his first career UEFA Champions League goal on 22nd November 2016. He scored the winning goal against Bayern in the DFB-Pokal semi-final on 26th April 2017. He was also named as the Man of the Match, Bundesliga Team of the Season and he was also awarded the Bundesliga Rookie of the Season Award. Later, on 25th August 2017, Barcelona announced that they had reached an agreement to sign Dembele for €105 million. After 3 days, he signed with this club for a five-year contract on 28th August. He made his first team debut on 9th September 2017 against Espanyol. Dembele scored his first goal in 14th March 2018 against Chelsea. 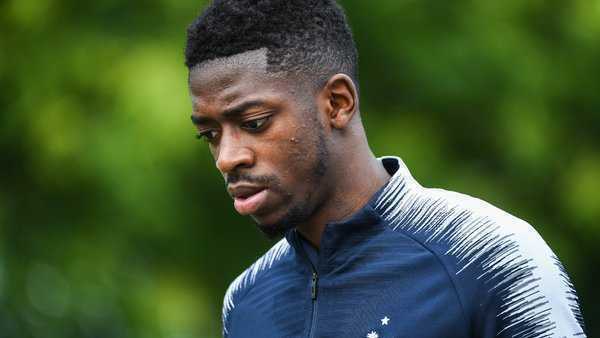 Dembele had represented himself in his national country, France in both senior as well as junior levels in many tournaments. He was called up to the Senior squad of France in August 2016. He made his debut on 1st September and scored his first international goal against England in 13th June 2017. His name was also enlisted in the squad of France national team in this World cup 2018 Russia. He had played in the World cup 2018. He is the active player in this World cup. Ousmane Dembele is a private person when it comes to his dating life and relationship. As per the available information, it can be assumed that he might be single in the current days. He may be single and maybe he has a girlfriend. He is focusing on his career than in a relationship. The young football star has a huge fan following on his social media. As of 2018, he has over 5.4 million + followers on Instagram. Dembele is close to his parents, who supported him to follow his career. He made his decision to join Barcelona with the dream of playing alongside Lionel Messi. Some of his hobbies are riding cycles, bikes, and listening to music. The net worth of Ousmane is estimated to have $6 million in 2018 with all of his properties and incomes. He is receiving an annual salary of €9 million from his present club. This excellent player makes good money from his work. He is satisfied with his earning.